About NH110 WHAT TIDE IS IT? 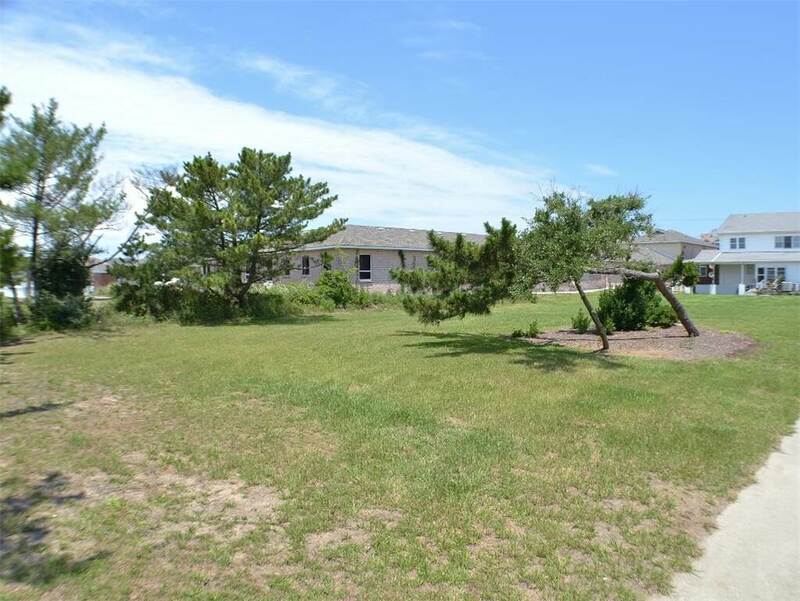 Recently remodeled with updates throughout, this spacious and immaculate home features hardwood floors, ceramic tile, new carpet in the bedrooms, stainless steel appliances in both kitchens and custom tile work in the bathrooms. The open-concept main level creates a natural flow and encourages togetherness, with the sunroom providing additional living space (and a wet bar!). The ground level can serve as a separate unit while still being accessible with an interior staircase. 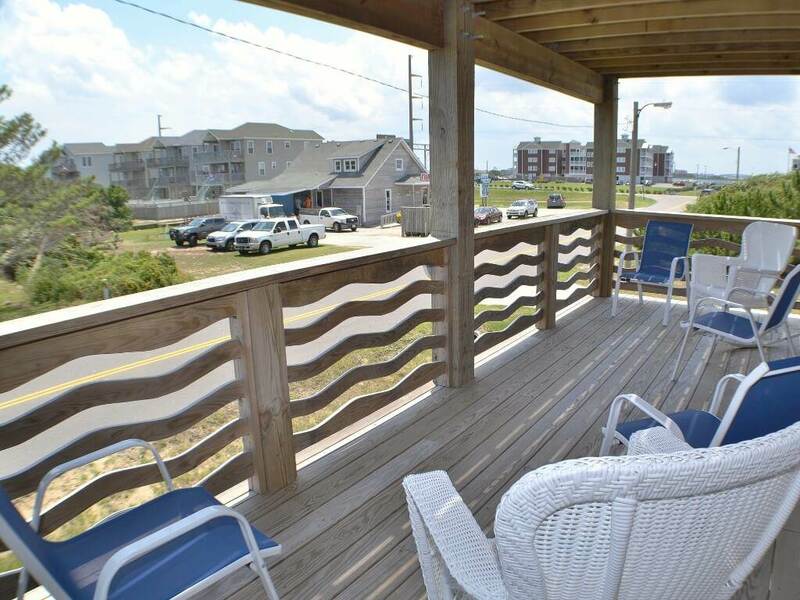 It features its own living area with sleeper sofa, eat-in kitchen and master suite, ideal for a second family or anyone needing a little less togetherness during their vacation. There’s plenty of room inside but we have a feeling you’ll be spending the majority of your vacation outdoors. 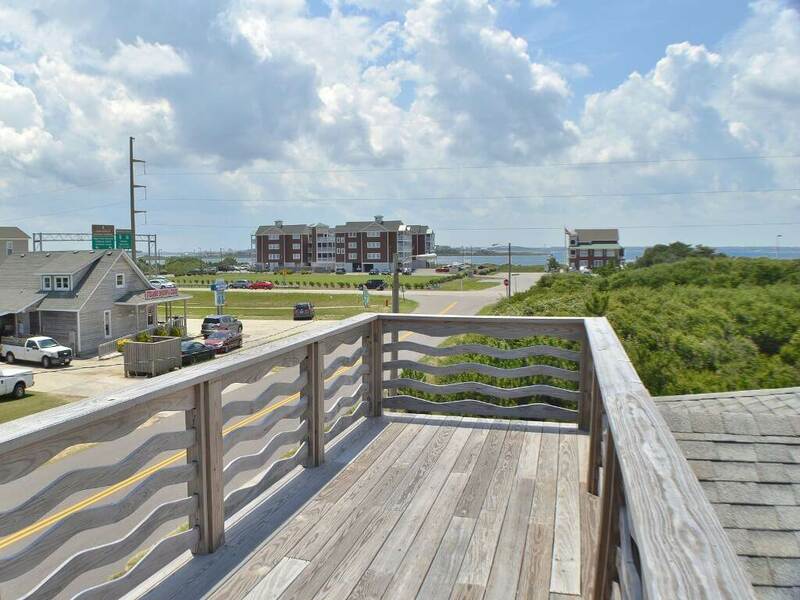 Take in the fantastic panoramic view from the rooftop sun deck where you can see both the ocean and the sound. The front lawn and backyard are significantly larger (and grassier!) than average for this type of location, perfect for outdoor games or just runnin’ around. 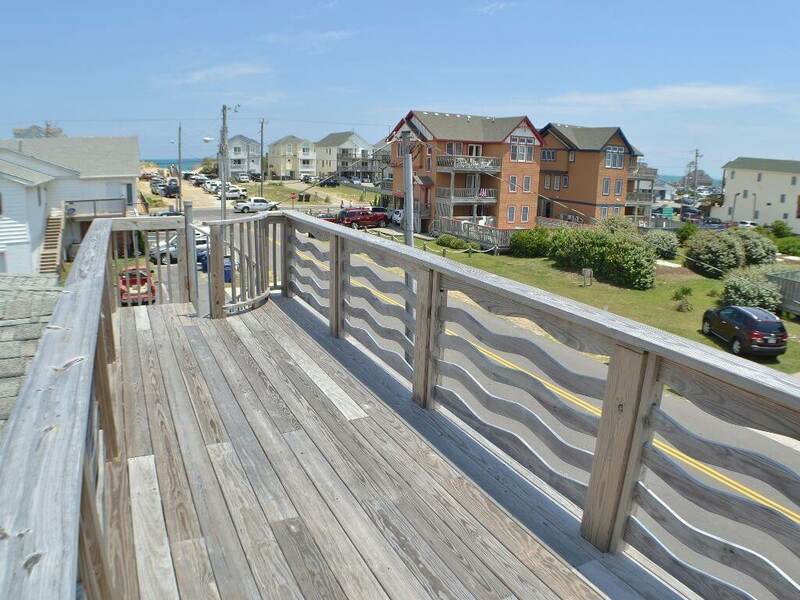 The location can’t be beat – situated between the highways in the Whalebone District and within walking distance to pretty much everything you need for your Outer Banks vacation. 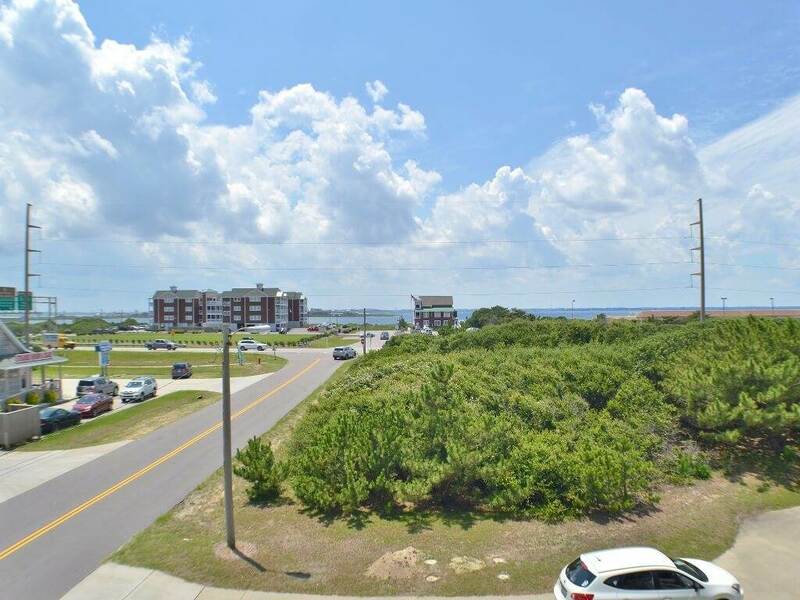 Get your groceries at Cahoon’s Market, your board wax at Banks Surf Supply, your fresh tuna at Whalebone Seafood Market, and a milkshake from Fatboyz (upgrade: or a Bloody Mary from Sam & Omie’s? ), all located within a 1,000 ft. radius. 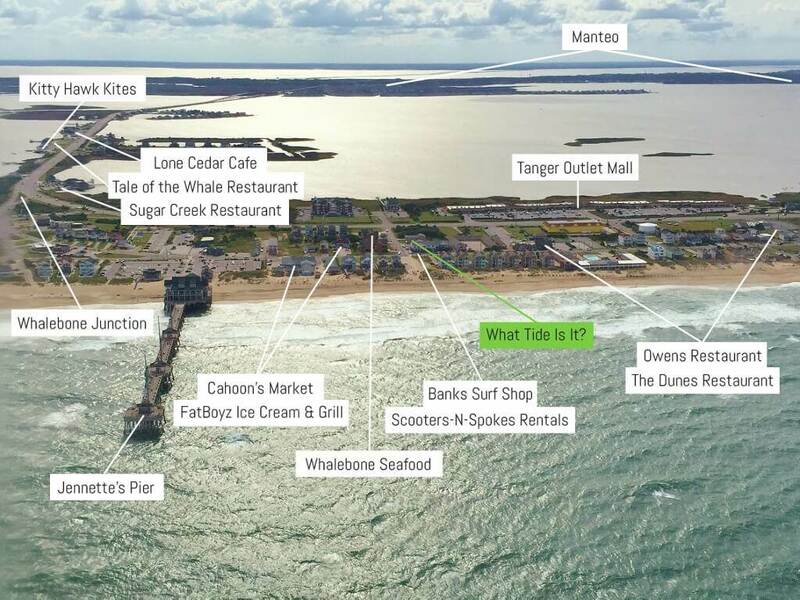 Within a quarter mile is the Tanger Outlet Mall for rainy day shopping and Dune Burger for the best burger on the Outer Banks (upgrade: or the best Filet Mignon from Owens Restaurant?). 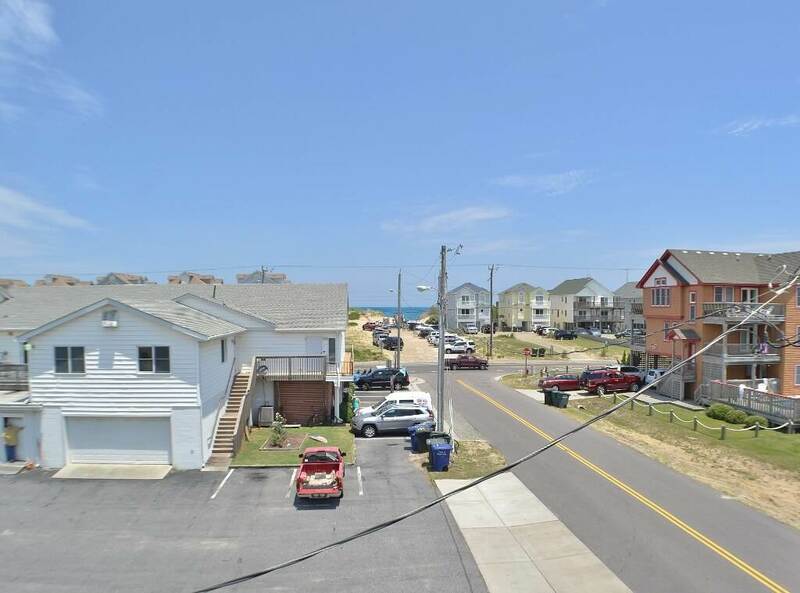 Most importantly, the beach: use the public access at the end of the street, just 100 yards away. And if that’s still too far of a walk, no worries – there’s parking. When you’re ready to switch up the relaxation for some action, rent a couple bikes from Scooters-N-Spokes Beach Rentals right next door (upgrade: or rent a moped for more distance and less exertion) and cruise the beach road. Sign up for three days of skimboard lessons with OBX Skim Camps, taught by some local pros/bros at the Gray Eagle Street beach access (remember, the one just 100 yards away?). If surfing is more your thing, then this is the location you’ve been looking for - you won’t find better breaks on the northern beaches than right down the road at Jennette’s Pier (northside or southside, you decide). 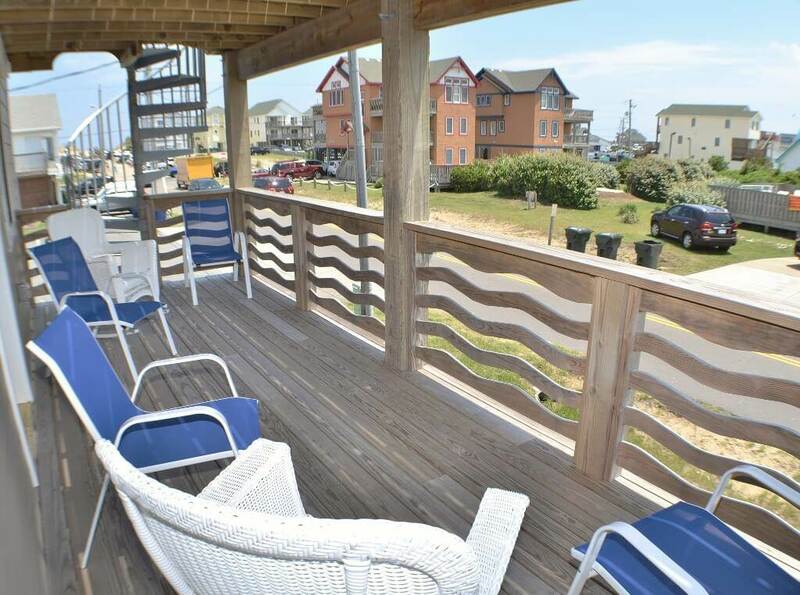 Reserve this home for your next OBX getaway so you can turn off your alarm, ditch the schedule and just go with the flow, because the only question you’ll be asking is “What Tide Is It?" GROUND LEVEL: Covered parking; Charcoal grill; Outdoor shower; Entry; Living area with double sleeper sofa and flat screen TV; Hall bathroom; Eat-in kitchen with stainless steel appliances, table for four and access to covered patio; Master bedroom with king bed (can be converted into two twins) and private bathroom. Washer/dryer.